The day of our wedding was great. It was very…us. We are quiet a squirrelly, rambunctious couple. We like to bring the fun. We laughed through our whole ceremony. People still talk about all the laughing and chatting and smiles that went on. In fact, we wrote our own vows. Mine were all serious and lovey. Isn’t that how vows are supposed to be? Apparently not. Cort’s rhymed. That is A. B is that they were also funny. Those who could hear (they forgot to mic him) we rolling. In fact, our wedding was anything but quiet. We were (are!) best friends. The group of friends and the events of our life that got us to the alter are nothing less than a rambunctious muddle of awesome. We have so much history. We have so much love. We have so much us. It was very fitting that we were not quiet and solemn up on that alter. But we can slow it down. We can be quiet and loving. Our minister slowed us down and (unexpectedly) had us recite the traditional vows as well. We were glad we did. But even gladder that we had said our own to each other. And since we weren’t sticking to ordinary anyway? We picked a first song that no one knew (well, a few did, but that is because they rock our socks). 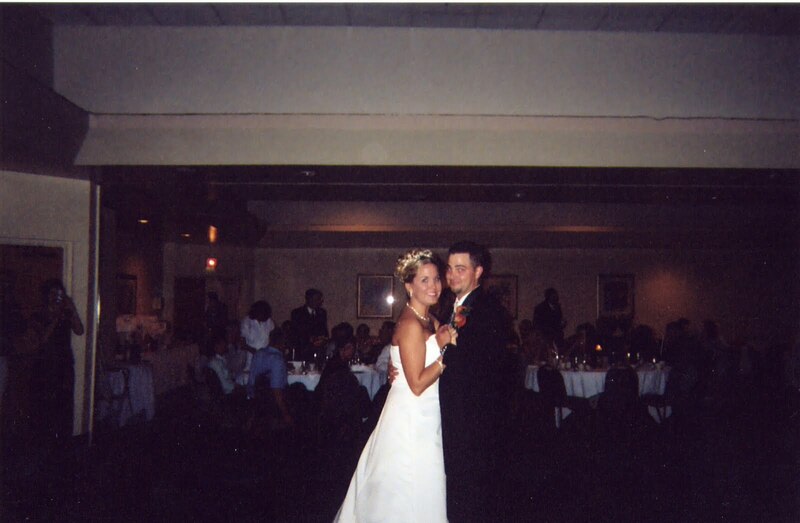 I had to specially give our DJ our song by R.E.M for our first dance. It was magical. It was slow. It was love. And it was us. This dance? Was when I really felt like I had said, “I do”. But because we are not quiet 99% of the time? We also had another very special song. Just for us to be introduced to as Mr. and Mrs. Sluiter for the first time. And it was? RAMBUNCTIOUS! The song? Big Pimpin’ by Jay-Z. Yeah, people still talk about it. But for that four minutes and fourteen seconds? It was just us. Quiet. Song lyrics from Nightswimming by R.E.M. 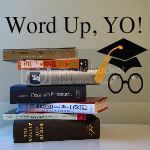 And here's your WordUp, Yo! post. Very good use of the WOW. I love that song! I think it's great you had both your own and the traditional vows, a slow and a fast song. There's so many different sides to us and our relationships so why not celebrate them. Awww that's a fantastic song! Love it! Aw, what a great post!!! I loved this! And great songs, too. We did a funky one for our "introduction' at our reception, too: you're my first, last, everything by Barry White. You look gorgeous. And if Obama or McCain had been inspired to run by your wedding, I would have fallen off of my chair laughing. As it was, I still wish I'd been there. I think it's SO great that you guys walked in to that! Weddings really should be about the man & wife. I love that your wedding and your memories are so unique and special and YOU. So many people get carried away by the day and forget what it's all about. Glad you stopped and held a moment in your hands. Coming over from Twitter. I'm your newest follower. Good luck on your follower goal! That's a great song! And a great WOW post…I especially love that your fun song was Rambunctious. I totally love R.E.M. I went to college in the town where they formed and I was always on the lookout for Michael Stipe whenever I'd go downtown for lunch. And Big Pimpin' used to be my ringtone. True story. I LOVE nightswimming. and I love your writing even more.